Not just any pair of sunglasses, these are daring, adventurous and unafraid. The navigator style has a classic rectangular shape and wrapped fit, while the sleek gunmetal frame is finished with the etched Ray-Ban signature. 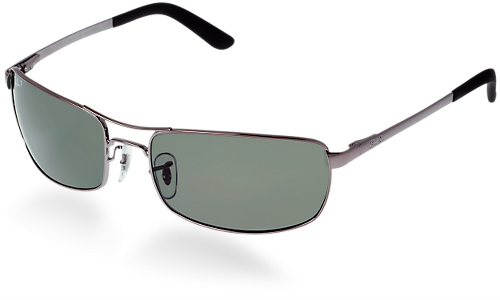 And with green polarized lenses, these sunglasses provide ultimate clarity and enhanced vision.